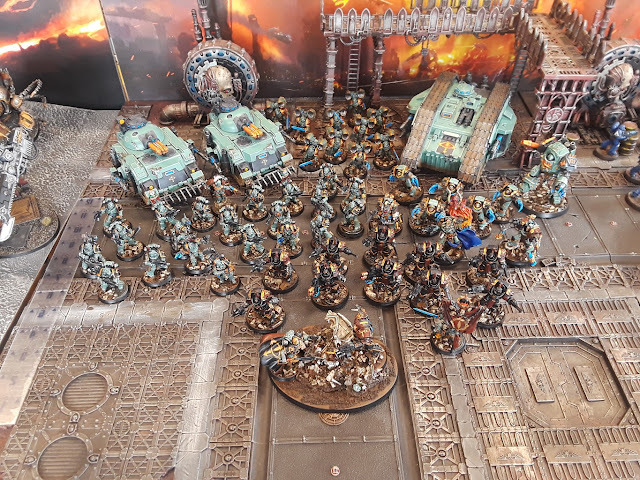 Mordian 7th Regiment: Heresy Era Sons of Horus - Armies on Parade family photo! 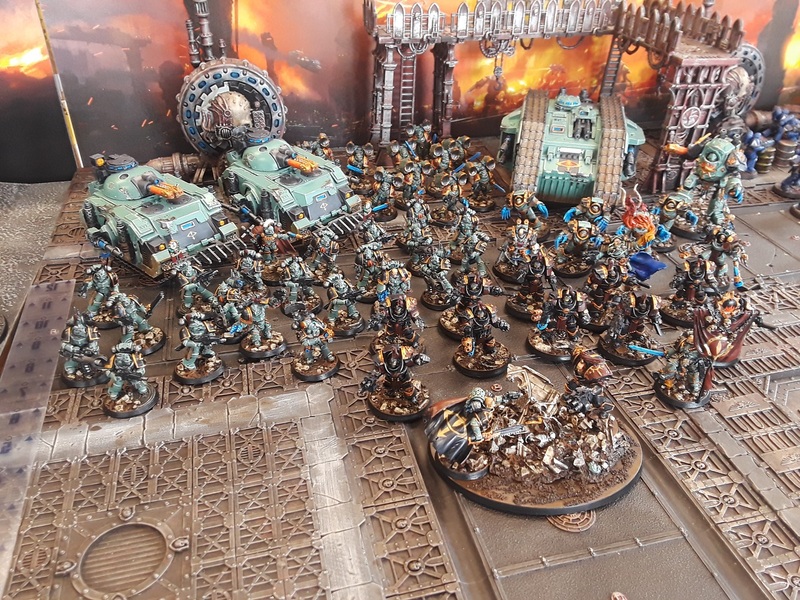 Heresy Era Sons of Horus - Armies on Parade family photo! I recently finished off the last of the models I had assembled and figured a family photo of what's been painted up so far was in order. 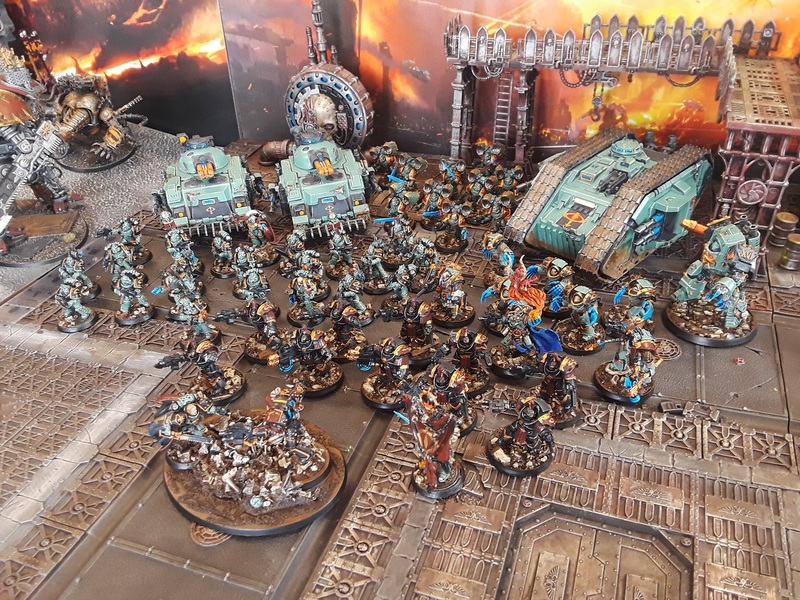 Packed everything up and popped over to the local GW to put them in the Armies on Parade lineup and snapped a few pics! There's actually quite a few of 'em once I got 'em all laid out! Fairly infantry heavy so far, but I find it's good to crank out a mess of infantry and leave the big toys for later. Still plan on adding more to the force, and there's quite a bit still awaiting assembly, but we're looking at about 3500 points complete already! Couple off-angle shots as well - Pretty happy with how the greens turned out across the force, and I'm rather enjoying the various spot colors here and there, the hot oranges pop nicely against the cooler tones of the armor. 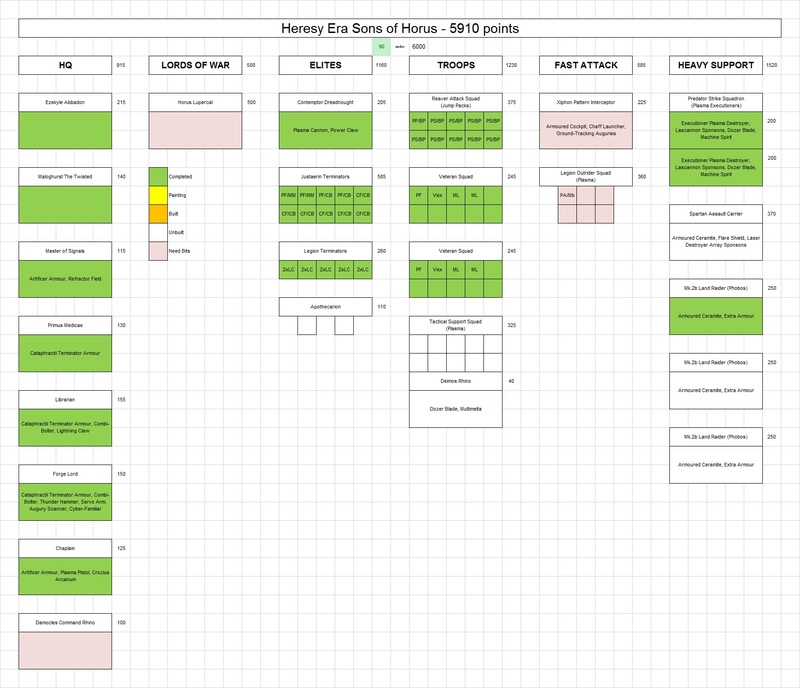 Updated the painting chart and really pleased with how it's coming along! Still a few things on the ol' wish list to order up from Forge World once the new rulebook drops, and a couple models still awaiting assembly in the Closet of Doom. However, I'm thinking I might switch gears for a bit and work on a different project for a little while to recharge the batteries after all this green! Lovely job and so speedy,. Great stuff man, love that hue of green and your neat edge highlighting. Great work, that's a very cool army! 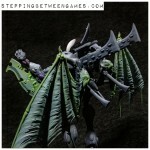 Looks fantastic as an army. That Landraider is going to be a bit special too I reckon. @Riot: Hah! It's all about the spreadsheets, baby! Pre-heresy armies are always a feast for the eyes. Well done!